Student design murals using Super Sticky Post-it Notes. POST-IT notes are often used for scribbling reminders and messages, but a recent campaign saw these colourful pieces of paper put to a different use. The campaign is aimed at encouraging participating students to spread positive messages through a competition to design murals using Super Sticky Post-it Notes. 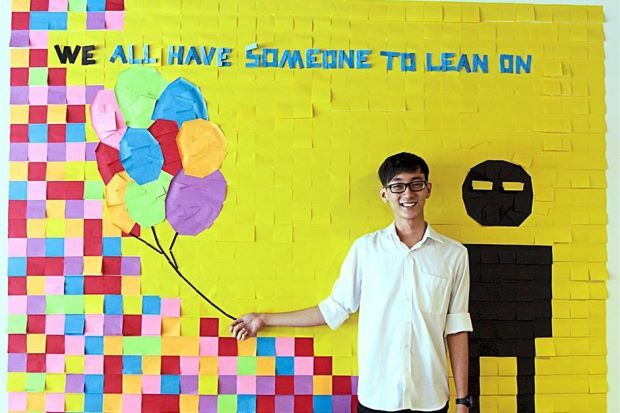 IACT College student Nicholas Siew proudly showing his Post- it Notes mural.